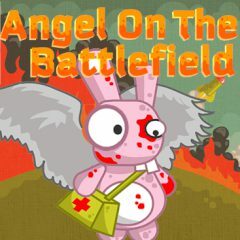 Help the cute pink bunny-nurse collect all the wounded soldiers and bring them to her tent to render first aid! Be careful, the battlefield may contain deadly traps! Do not get shot either!